Latin for 'with saw tooths', referring to the leaf margin. Understorey tree up to 15 m tall and 45 cm dbh. Stipules small and united. Leaves alternate, simple, penni-veined, with secondary venation placed close together, venation inconspicuous, glabrous, leaf margin finely serrate or entire. Flowers ca. 9 mm diameter, yellowish, placed in thyrses, sometimes appearing racemose. Fruits ca. 7 mm diameter, red-purple, consisting of several individual fleshy drupes connected to the flower base. Usually in secondary vegetations or open places in mixed dipterocarp, keranga, swamp and sub-montane forests up to 1200 m altitude. On alluvial sites near rivers and streams as well as on hillsides and ridges. Usually on poor sandy soils, but also on clay and limestone. The wood makes good charcoal and is also used in house building. The bitter roots and leaves are used against stomach complaints. The twigs are used against toothache. From Sri Lanka, India and southern China to the Philippines and Celebes. In Borneo collected throughout the island. 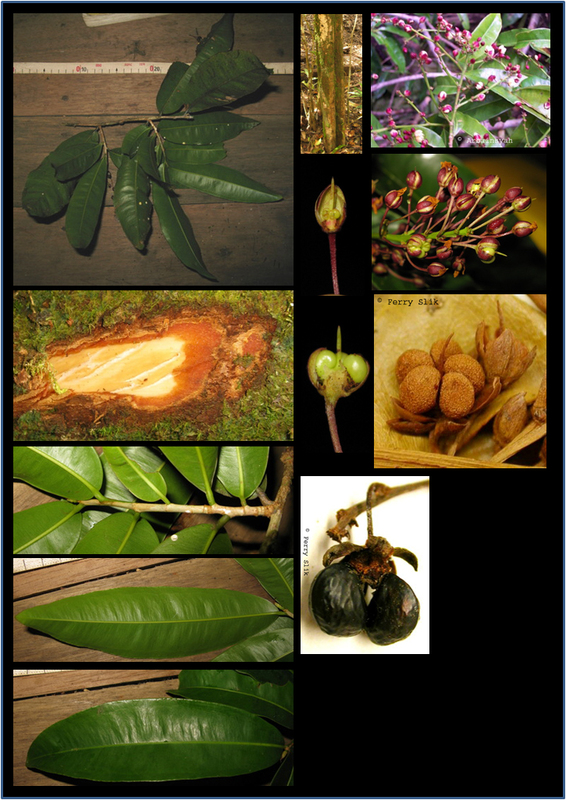 Borneo: Aam, Alas, Amir burgang, Antimagas gimbaan, Bakan bitanag, Batu-batu, Biobi, Cenaga lampong, Guintalay, Keladang, Kelutak, Kolambang, Majang-majang, Malatangor, Melindingan, Mulak, Ondogong, Penaga lampong, Pinis, Posoon, Quintalai, Tampalanuk, Tengkejing kering, Tulangkara.